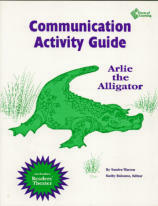 Arlie the Alligator on CD Follows the story word-for-word. Fully produced with actors, sound effects and music. 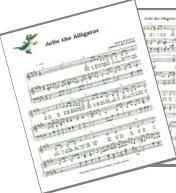 Arlie the Alligator A Story and Picture Book for Kids Ages 4 to 8 A song book too! 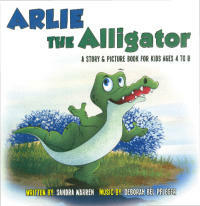 Written by Sandra Warren * Music by Deborah Bel Pfleger Illustrated by Ozzy Esha Arlie is a curious alligator who longs to make friends with the strange creatures at the beach. Can you help Arlie? Will you be his friend? Four catchy tunes are interwoven to make this story come alive.